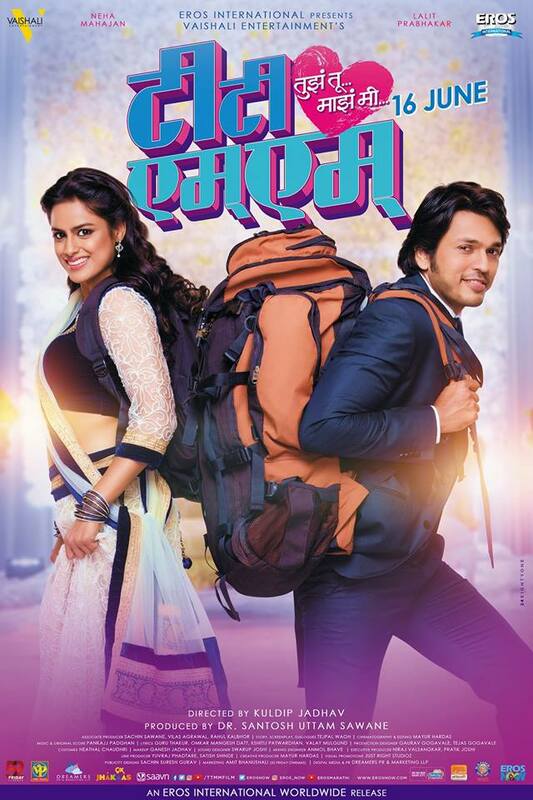 "TTMM (Tujha Tu Majha Mi)" is an upcoming romantic movie starring "Lalit Prabhakar" as Jay and "Neha Mahajan" as Rajashri in lead role. This is Lalit's second movie releasing in quick succession after debuting on big screen with Zee Studios movie "Chi Va Chi Sau Ka" and Neha's third Marathi movie with full fledged role, previously she has worked in movie like "Ajoba" and "Coffee Ani Barach Kahi". This is first time Lalit Prabhakar and Neha Mahajan are working together on big screen previously they both had worked together on small screen for "Zee Talkies" show "Talkies Light House" in which we had seen a great chemistry between them. It will be interesting to watch them on silver screen. Apart from Lalit Prabhakar and Neha Mahajan other actor in important role are Vidyadhar Joshi, Savita Prabhune and Satish Pulekar, while Seema Deshmukh, Sagar Karande, Pushkar Lonarkar, Sharvari Lohakare, Pushkaraj Chirputkar, Bharat Ganeshpure, Sriram Pendse, Chetan Chawda, Kadambari Kadam and Jayesh Sanghvi will be seen in supporting roles. The film is directed by debutant director "Kuldip Jadhav" and produced by DR. Santosh Uttam Sawane under the banner Vaishali Entertainment and Eros International, while the story, screenplay and dialogues of the film are written by Tejpal Wagh, Mayur Hardas has handeled cinematography and editing section, music for the film is composed by music director Pankajj Padghan. The story of the film is a sweet love story which revolves around Jay and Rajashri played by Lalit and Neha. It has all the element of love story like petty playful fights, differences among the lovers, lots of humor, emotions and family drama. So to know how these all shape up we will have to visit theaters on 16th June 2017.